Sandra Bland’s family has requested an independent autopsy into her death, which Texas authorities have ruled a suicide. The results from the independent autopsy will be revealed in two to three days, according to the family’s lawyer Cannon Lambert, who spoke to ABC News. Elsewhere, according to Houston’s KHOU-TV, the trooper who pulled over and arrested Bland on July 10 was relegated to desk duty for violating protocol during the arrest. In arresting Bland, the trooper “violated the department’s procedures regarding traffic stops and the department’s courtesy policy,” state public safety officials said Friday without specifying what procedures the trooper, whose name has not been released, had violated. 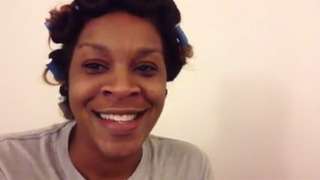 While in jail, video shows Bland was alone in one cell but there is no footage of the cell where she was found dead. There was a camera filming the hallway outside of one cell where she was held, which showed no one else entering or leaving “between the time she last spoke with deputies through an intercom system and when her body was discovered,” according to Waller County district attorney Elton Mathis. Bland was the only woman jailed during that time. Last Thursday, Waller County jail was cited by the Texas Commission on Jail Standards for “not properly monitoring inmates” but it is unclear if that citation is linked to Bland’s death, though it seems likely. Inmates must be checked on every hour and any inmate who may be suicidal must be observed “in person” every half hour. Bland was checked on via an intercom less than 60 minutes before she was found dead. On Friday, protestors gathered outside of the Waller County jail to protest Bland’s mysterious death while others online tweeted stories with the hashtag #IfIDieInPoliceCustody.